International factoring is now universally accepted as vital to the financial needs of small and medium-sized businesses. 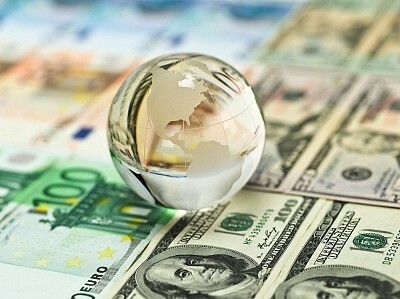 With factoring accounting for more than $750 billion in annual trade globally and having the support of government bodies, central banks throughout the world. Factoring allows you not to be exposed to some of the challenges of international commerce. Selling your goods internationally can be extremely rewarding and challenging at the same time. When you start exporting goods, you truly open your company to a world of possibilities, including the possibility of big financial rewards. At the same time, you expose yourself to some of the challenges of international commerce. Because international factoring works in a similar way to domestic factoring, exporters have realized that it can help them to become more competitive in complex world markets merging factoring and purchase order financing together becoming very competitive in today's international market. Accelerated cash flow by getting immediate payment for your invoices and sales. Increase sales in foreign markets by offering competitive terms of sale. Lower costs than the aggregate charges for L/C transactions. Manufacturers | Wholesalers | Service providers | Retailers | Etc. Companies who create accounts receivables from creditworthy customer. Businesses that qualify for international factoring? Foreign exporters seeking to increase sales to U.S. importers by using open account credit terms. U.S. sales agents / subsidiaries of foreign exporters. U.S. exporters seeking to use open account credit terms as a sales tool. Sell credit worthy international customers or businesses. Has a minimum need of $30,000 in receivable finance. If you are doing business with an international company and want to eliminate the waiting 30, 60 or 90 days to get paid, then international factoring can be a valuable financing tools to help you with advances up to 85% of the total value. By using international factoring, your company can concentrate on what you do best, running your business and increasing sales.